If this will be your first time at Family Life Church, we are so glad to have you. We hope you will feel welcome and comfortable here. Once inside, you can grab a complimentary cup of coffee and check in your children if you choose. We suggest arriving a little early so you can find a seat before we start. Our Usher Team will be available to help you find a seat in the auditorium if you need assistance. During the service, you will experience dynamic worship music and receive an uplifting message about the hope we have in Jesus. If you want to know more, here are some other Common Questions that may help address any remaining questions you have. 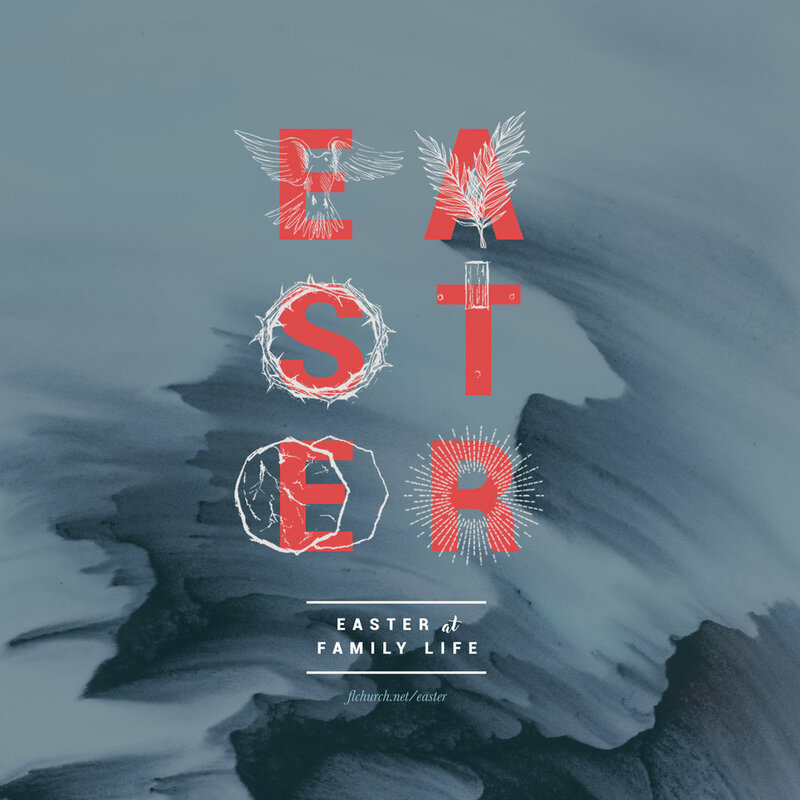 We invite you to make Easter a family event because we will have an incredible Easter service for your little ones too! We have a high energy kids service (for 6 years through fifth graders) where they will receive the Easter story through an interactive message that is specifically tailored to them. We also have excellent nursery and preschool care for children newborn to 5 years old. Our FLC check-in system allows us to make sure your children are safe and ready to enjoy their age-appropriate service. Each weekend at Family Life Church you’ll find a relaxed and friendly atmosphere with contemporary worship music and a practical, relevant message. You’ll also find printed outlines that will help you make the most of each week’s teaching. Children are well-cared for in a loving, quality nursery and fun-filled Kids Life services. If you are visiting for the first time, we will not embarrass you or have you stand up. We know that many people want to check out the church and “be anonymous” for a while—and that’s fine with us! If you want to let us know you came, feel free to fill out a welcome card located in the seats and bring it to our info center. We have a gift waiting there for all our guest. Come in, enjoy the relaxed atmosphere, and see if this is the church for you. You'll see some people in suits and others in jeans. Wear whatever makes you comfortable! Family Life is not about what you look like or what you wear. Family Life Church is located in Lafayette, LA near the city of Scott. There are many ways to get involved. You can begin by attending our Next Steps Class. Life Groups are another great way to connect. Both of these offer opportunities for you to build friendships, learn more about the life of our church, and grow in your faith. WHAT TYPE OF CHURCH IS FAMILY LIFE? We are a Christian, non-denominational church. To learn more about our beliefs click here.